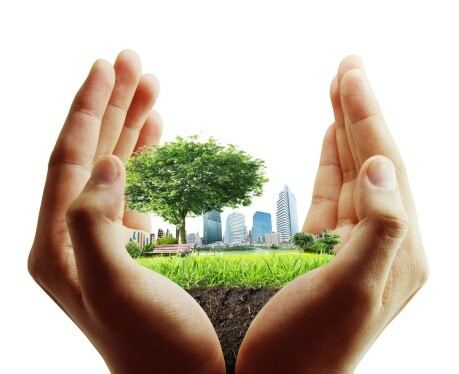 In response to growing interest in sustainability reporting within broader calls for corporate social responsibility reports, the AICPA has issued new guidance for auditors, “Attestation Engagements on Sustainability Information.” The guide expands upon and supersedes an earlier guide on greenhouse gas information. Sustainability is sometimes used as a short-hand term for a larger population of social responsibility disclosures, variously described as corporate social responsibility (CSR); environmental, social and governance (ESG); socially responsible investing (SRI); and strategically sustainable investing (SSI). Within a largely voluntary but increasingly regulatory-driven landscape, certain metrics and related indices of sustainability have been developed, making sustainability reporting another measure of competitive achievement and driving desirability among certain investors, customers, employees, and others. “ESG investing strategies — investing plans that align with a healthy environment, social responsibility, and good governance — are some of the fastest-growing strategies in asset management,” says the Stanford Social Innovation Review, which reports a 33 percent rise in institutional assets invested in ESG strategies, to $8.72 trillion, in the space of two years. The report adds that ESG investing does not only appeal to larger investors, but to the retail / consumer investment market as well. As such, general concerns about non-financial metrics, and sustainability metrics specifically, drive the desire for third-party attestation from auditors or other experts to provide a level of assurance on the reliability of the reported results. “The demand for meaningfully-assured sustainability information is on the rise, coming from investors and other key decision makers who value this information,” Susan Coffey, AICPA executive vice president, public practice, said in a prepared statement. Citing the European Directive on Non-Financial Disclosure, which takes effect this year, he says, “The directive requires public companies operating in Europe with more than 500 employees to report on a variety of non-financial metrics, including environmental impacts, social and employee-related policies, anti-corruption and bribery issues, and diversity on boards of directors.” U.S.-based companies take note: Multinational companies operating in Europe must also comply with the directive. In another example, the Taiwan Stock Exchange has required certain listed companies to issue a stand-alone CSR report since 2015. Sustainability and CSR are often used interchangeably, says Singer. “Sustainability is often defined as the ‘triple bottom-line’ — economic viability, social responsibility, and environmental responsibility.” John Elkington, said to have coined the term “triple bottom-line,” equated the economic-social-environmental equation with the “3 Ps” — profit, people, and planet. “Our research finds that assurance of sustainability data is growing, though this remains an emerging practice,” says Singer. He notes that about 12 percent of S&P 500 companies are currently issuing sustainability reports that include third-party verification and assurance, compared to about 8 percent in 2013. The accounting profession and sustainability, by Barry Melancon, president and CEO of the American Institute of CPAs and chairman of the International Integrated Reporting Council. Commonsense principles of corporate governance, by Mervyn King, former chair of the International Integrated Reporting Council and Global Reporting Initiative and former chair of the King Committee of Corporate Governance. Learn more about sustainability initiatives, including those of the Sustainability Accounting Standards Board and others, on the AICPA’s sustainability resource page. NEW: The AICPA is holding a webcast on September 14 from 1-2:30 pm ET, entitled Attestation Engagements on Sustainability Info: Applying the New Guide.